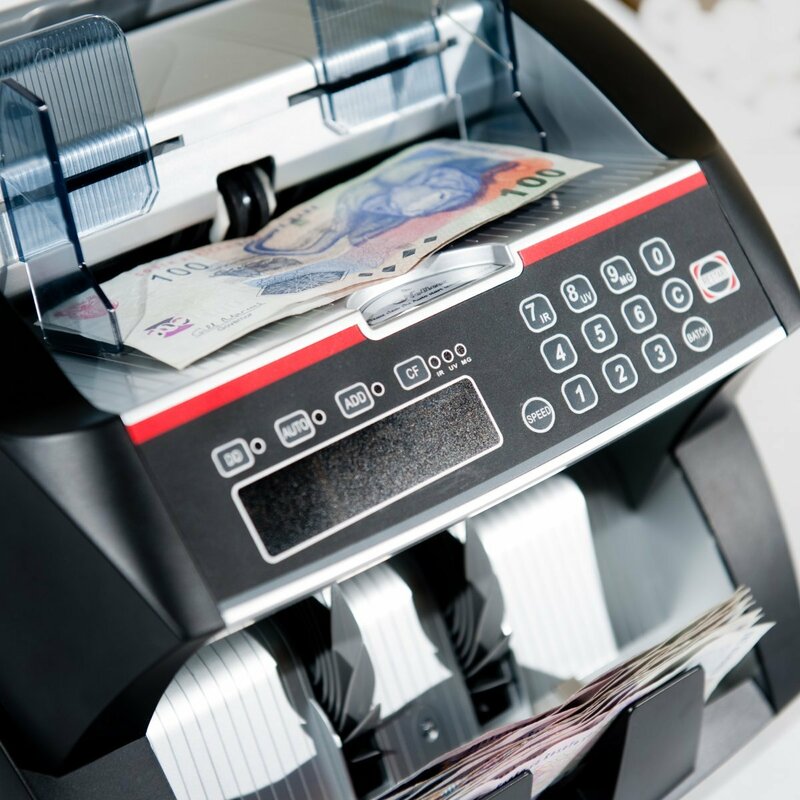 Counterfeit banknotes can have a crippling effect on a business. The key to avoiding the effects of counterfeit banknotes is to check all of the notes before accepting them as legal tender. Installing a desk top counterfeit detector at the point of sale can be a cost-effective counterfeit detection method. Most money counting machines have built-in counterfeit detection. The level of detection differs from product to product but common features include Ultraviolet ink, magnetic thread and size detection. 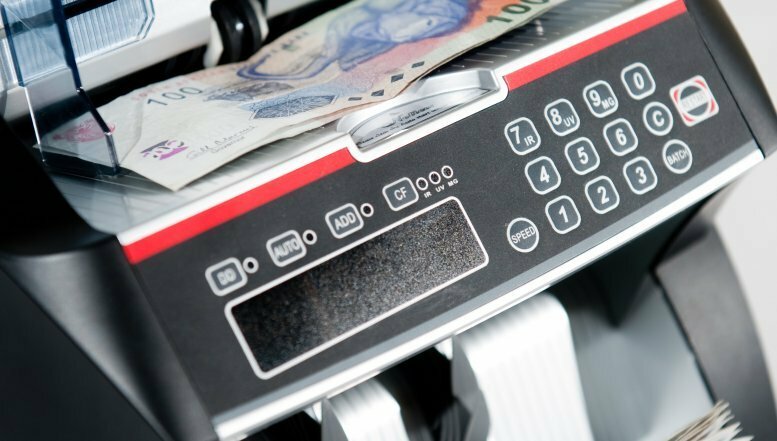 Counterfeit banknotes can have a crippling effect on a business. The key to avoiding the effects of counterfeit banknotes is to check all of the notes before accepting them as legal tender. Old South African ‘big five’ series notes have multi coloured fluorescent markings that can be seen when the note is places under a UV light. The new Nelson Mandela notes do not glow under a UV light. Unfortunately many of the counterfeit notes that have been circulated recently in South Africa have ultraviolet markings and therefore products that only have UV detection will not register them as counterfeit. The banknote is scanned during the counting process to ensure that there are magnetic properties to the paper. This is one of the most reliable security features for South African currency as it is very difficult for counterfeiters to copy. When looking for a money counting machine, it is highly recommended that you choose a product with the magnetic function. Avansa Business Technologies is the global industry standard and leading manufacturer and marketer of business technologies at affordable prices in South Africa. For more information email Darian Liprini at dliprini@avansa.co.za or call 086 133 3397.